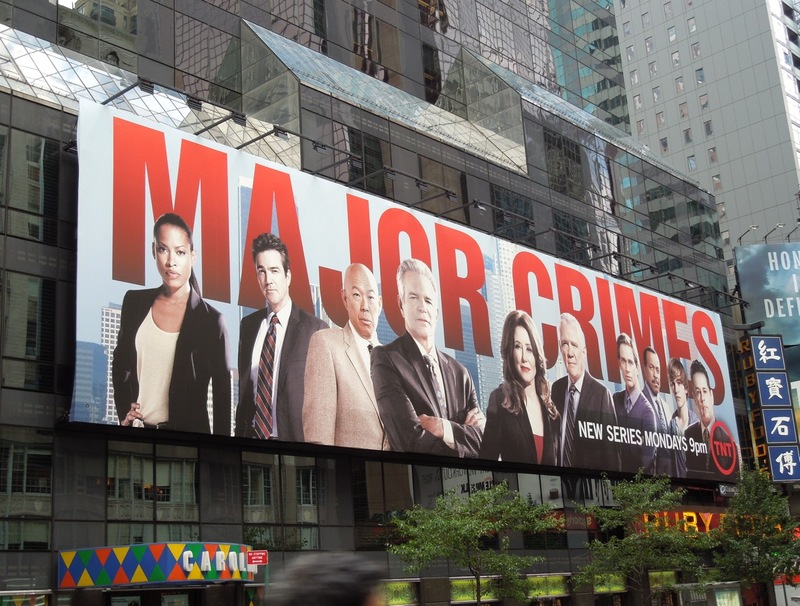 You can never really predict how long a new series will survive on American TV, but it certainly helps if you're starting life with an already established fan base. 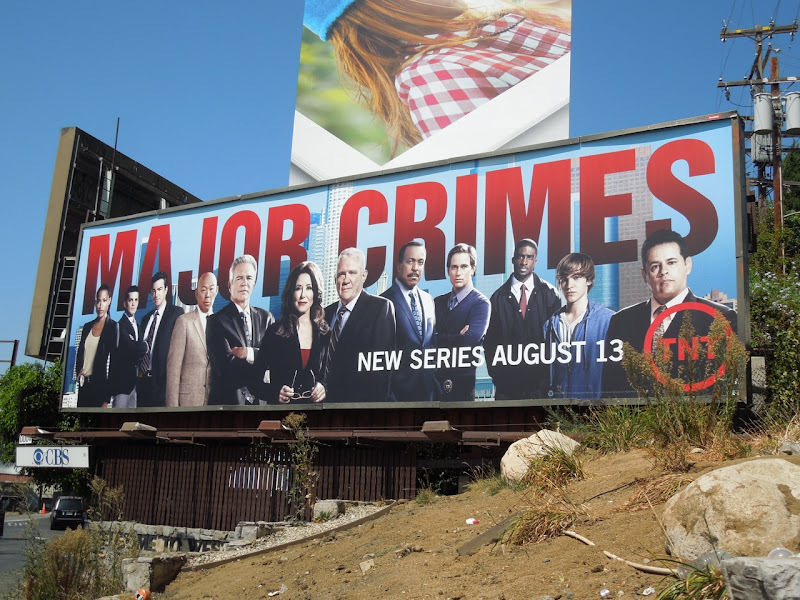 Enter Major Crimes, TNT's new spin-off show from The Closer starring Mary McDonnell as 'Captain Sharon Raydor'. 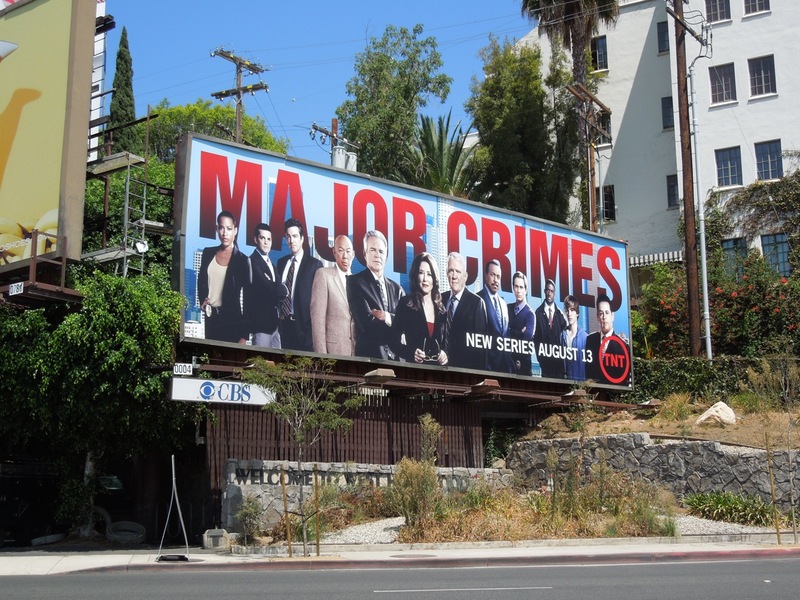 This cast billboard for the new show was snapped by Chateau Marmont along Sunset Boulevard on July 24, 2012. 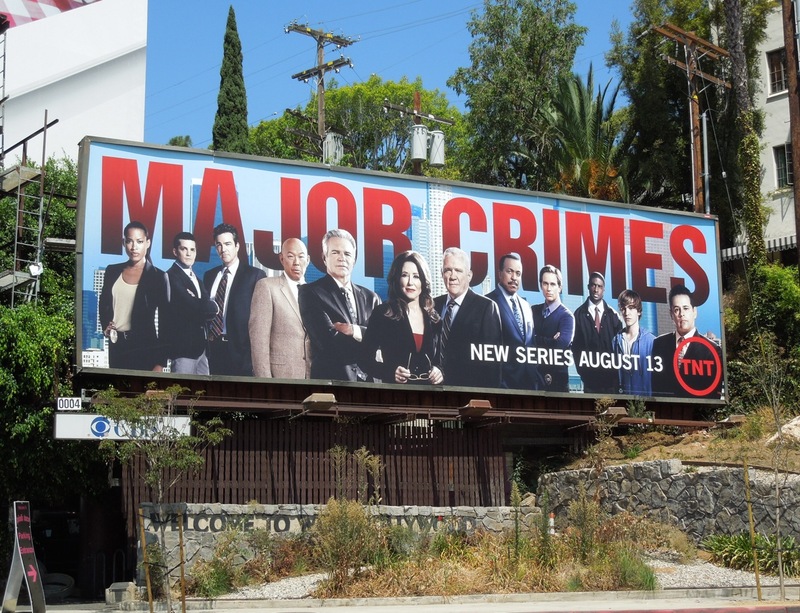 Let's see if this new cop drama can match Kyra Sedgwick's seven season crime-solving reign in The Closer. 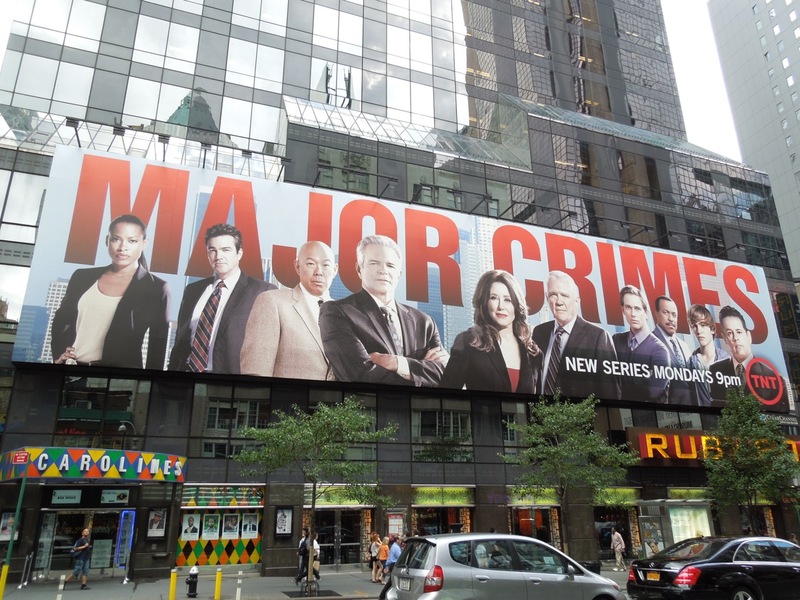 UPDATED: Here's another impactful billboard for TNT's new crime show, this one spotted along Broadway at West 49th Street near New York City's infamous Times Square on August 27, 2012. 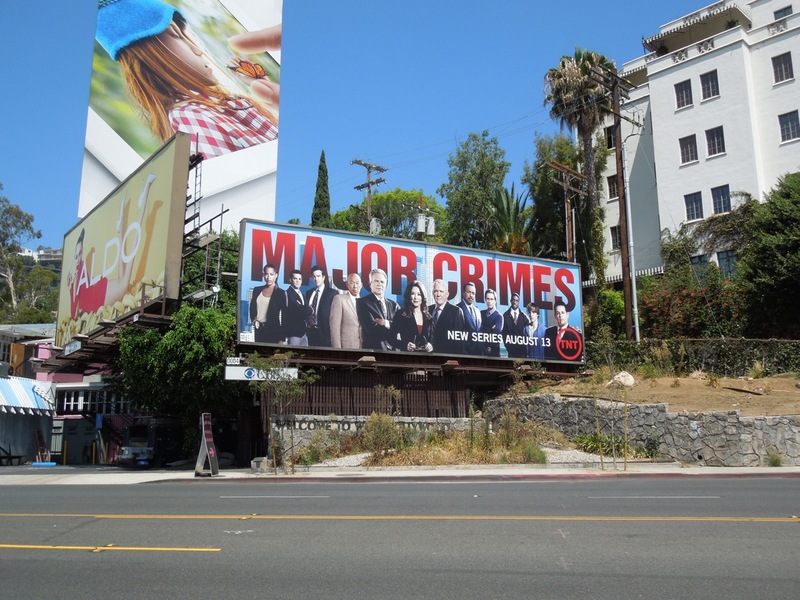 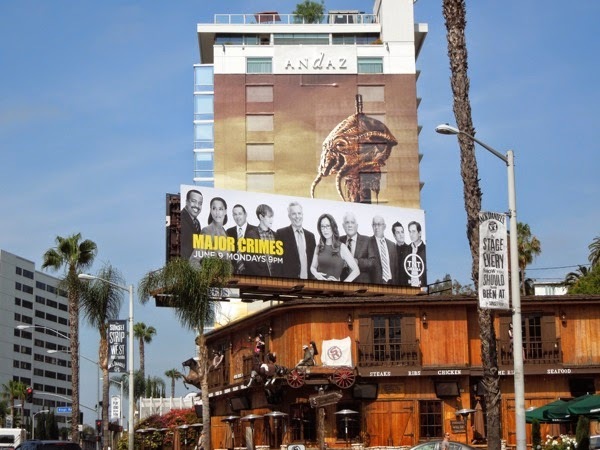 UPDATED: The Major Crimes gang is back in black and white (and yellow) for a third season and here's the TNT promo billboard snapped along Sunset Strip on May 29, 2014. 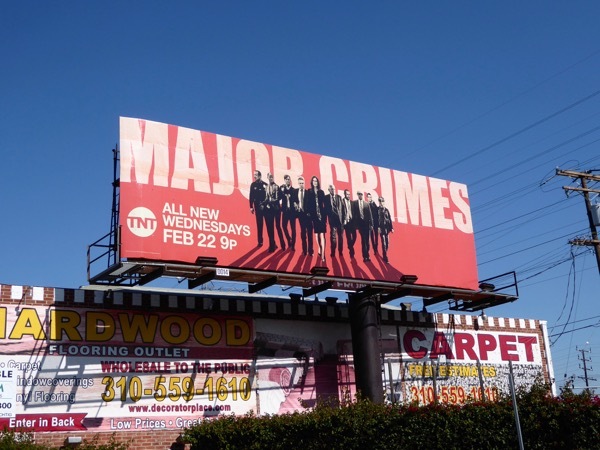 UPDATED: Here's another bold ad creative for the second half of the show's fifth season, snapped along La Cienega Boulevard on January 26, 2017.